Five years ago the boy moved to Pittsburgh. I was devastated to have him leave, but I knew that it was time for him to strike out on his own. And I was happy he had chosen Pittsburgh over Philly, even though Philly is a bit closer. Pittsburgh is just a much nicer city. Period. Much more livable, and beautiful to boot. The DH and I enjoy visiting the boy and his lovely GF in the Burgh. It’s a pretty easy day trip for us and both the boy’s apartment and his GF’s place are very easy to get to. Pittsburgh is a beautiful city, but you don’t have to take my word for it. 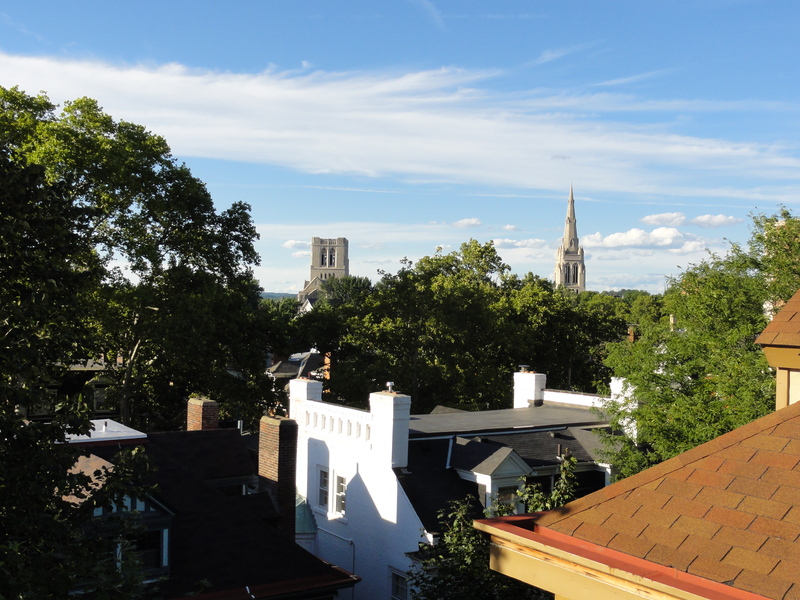 Here’s the view from the GF’s balcony. Notice the mountains in the background. What a city! 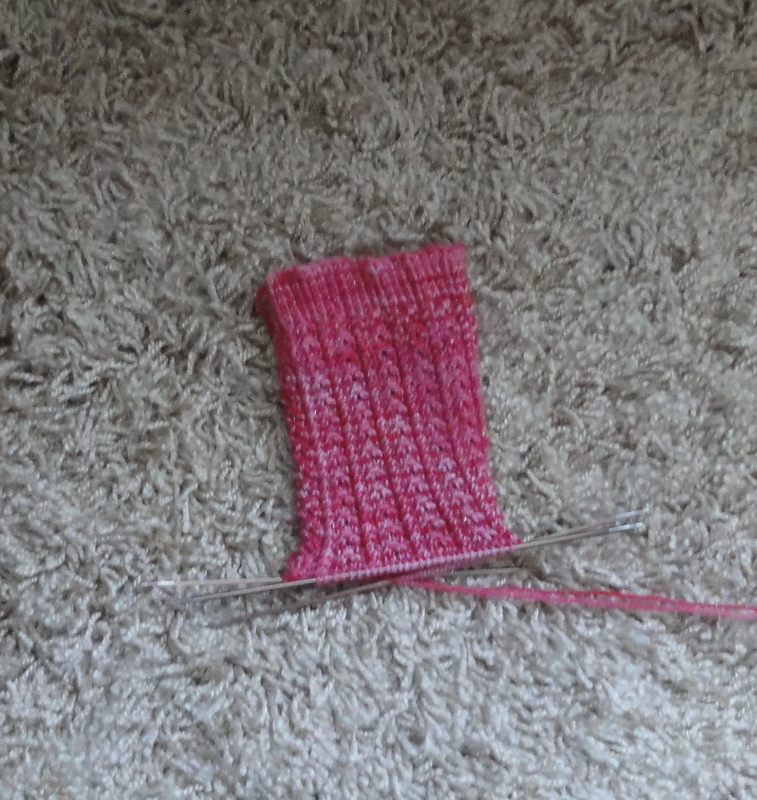 On the drive over, I got a little knitting done on my latest sock project, Froot Loop Socks. The yarn is from the wonderful Brynna at Draygone Yarnes. It’s Sparkle, which has real silver threads in it. The color way is Prom Dress. This entry was posted in Knitting, Socks and tagged Draygone Yarnes, hand knitted socks, Mad Mex, Pittsburgh, Shadyside. Bookmark the permalink. I love the color of the Fruit Loops Socks. Wonderful! 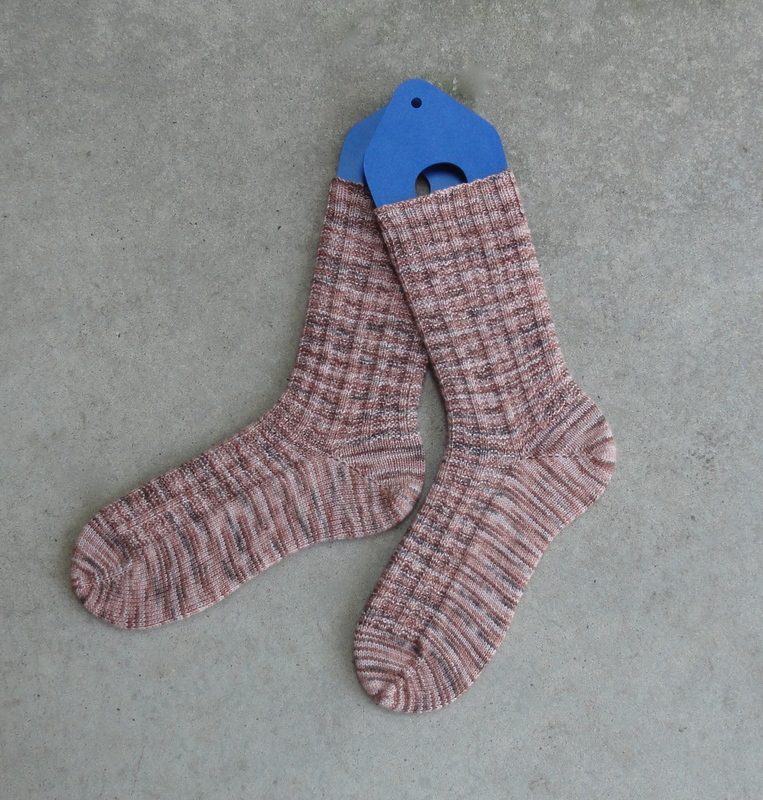 The Pink Chocolate Shadow Rib Socks turned out very nice as well! Pittsburg is nice city, my brother lived there for a year. They also have the weirdest sandwich, where they add the fries to the burger. Weird, but wonderful!